Governor Terry Branstad and Lt. Governor Kim Reynolds. 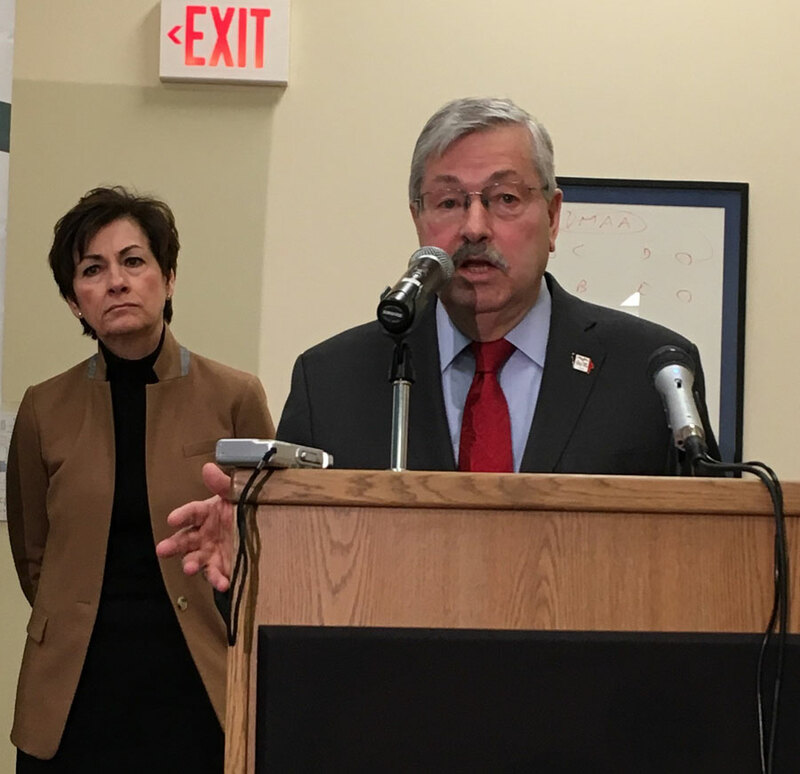 Governor Terry Branstad says he’s completed the paperwork required for his appointment to be U.S. Ambassador to China. That’s the committee that will hold a hearing on Branstad’s nomination. Branstad has to win confirmation from the full senate. Branstad says at some point he will go to Washington, D.C. to meet with a “special group” that will prepare him for the hearing in the senate. “If you’ve watched the hearings, they ask a lot of tough questions, but I do these press conferences every week, so I’m used to handling tough questions, I guess,” Branstad says. Branstad made his comments during his weekly news conference.